Our range of products include bag stacker conveyor, industrial bag loading conveyor, box loading conveyor with fibre dome, bag transfer conveyor, truck loading conveyor and box loading conveyor with fiber dom. The simplest type of automated truck loading and unloading system consists of an expandable or movable conveyor. These units can be extended from a fixed conveyor system in your facility, across a dock plate, and up to or into a truck trailer to improve the speed and efficiency of your dock workers. 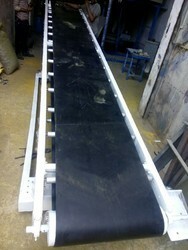 These conveyors are available in gravity and powered versions. Gravity units can flow product in one direction but require manual intervention to move product up hill. Powered conveyors can move goods into or out of a trailer without a worker pushing the product. Gravity conveyor units come in roller or wheeled versions. Powered conveyor units are available in roller and belt versions. We have attained a reputed position in the market for manufacturing, supplying and exporting a wide range of Industrial Bag Loading Conveyor. Our product is demanded in various industries on a large scale and acclaimed by the clients for its high performance and robust constriction. We designed this product keeping in mind the special requirements of our clients so that we can perfectly meet their expectations. We are leading manufacturers of Box Loading Conveyor with Fibre Dome. Bag Transfer Conveyor manufactured by Sigma Automation is reckoned in the market for its capacity of handling higher tonnage over long distance at a low cost. Owing to their ability to handle a wide variety of material economically, these equipments are widely used for small and big capacities. In addition to transporting bulk materials, these products are used for weighing, blending, sampling and stockpiling. we are offering for Box Loading Conveyor with Fiber Dom for corrugated box,(protecting for rain , sun light) with fiber dom.It is most of use ful to pharma & protective chemicals box load in truck or container. 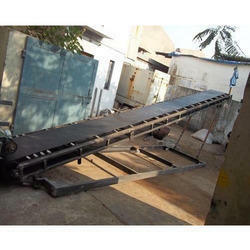 It is used for loading and unloading of material and products in different industries. 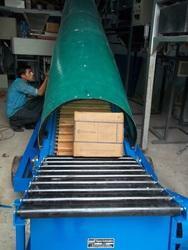 The offered conveyor can easily be adjusted according to truck/vehicle height. 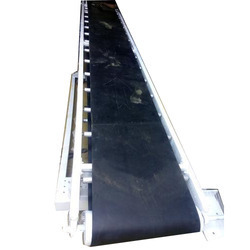 This conveyor is designed with pot meter to control its working speed with an ease. With the help of our distinguished professionals, our firm has been able to offer a wide range of Bag Stacker Conveyor to the clients. It is designed keeping in mind its wide applications in different processes. We are providing this product to the clients at highly reasonable price range and ensure on-time delivery direct at their premises. Suitable for long lasting applications, our product is high in demand.